Specific Phobia – e.g. of spiders, elevators, flying, etc. The remainder of this article will talk in more depth about the unique characteristics of each of these anxiety disorders. General Anxiety Disorder is a serious issue for the ADHD community. It is far more likely to occur during the lifetimes of children with ADHD than in the general population (25% ADHD versus 2.9 – 4.6% general population). Half (52%) of adults with ADHD will experience GAD in their lifetimes – opposed to only 5% of adults in the general population. General Anxiety Disorder is the big anxiety disorder that people tend to miss. With the others – Post Traumatic Stress Disorder, separation anxiety, and social phobia – it’s more obvious when you have it. And, since GAD often comes along for the ride with depression, substance abuse, and other anxiety disorders, it may be relegated to a back seat in terms of recognition and treatment. Separation Anxiety Disorder develops in childhood and can persist into adulthood. Basically this means a child is fearful of being separated from his or her safety net (familiar place or person). The child may develop excessive worrying to the point of being reluctant or refusing to go to school, being alone, or sleeping alone. The child may also experience repeated nightmares and complaints of physical symptoms such as headaches, stomachaches, nausea, or vomiting. 18% of people with ADHD will have a lifetime occurrence of Social Anxiety Disorder – half again as common as in the general population. Social Anxiety Disorder is an intense fear of becoming humiliated in social situations, specifically of embarrassing yourself in front of other people. It includes performance anxiety issues. It often runs in families and may be accompanied by depression or alcoholism. Social phobia often begins in early adolescence or even younger. The person recognizes that the fear is excessive or unreasonable. About 13% of the general population will experience social anxiety at some point in their lives. Social Phobia is actually the third most common psychiatric disorder in the United States after depression and substance abuse. Although there isn’t a lot of information on PTSD and ADHD specifically, there is some evidence that people with ADHD are more vulnerable to developing PTSD. For more information consult Adler LA, Kunz M, Chua HC, Rotrosen J, Resnick SG. (2004). Attention-deficit/hyperactivity disorder in adult patients with posttraumatic stress disorder (PTSD): is ADHD a vulnerability factor? Journal of Attention Disorders. Aug; 8(1):11-6. Anxiety disorders are highly treatable, but you have to recognize first that they exist. If you think this might be you, seek the advice of a professional and find out what your options are. An ADHD coach can also help you learn to identify your anxiety triggers and things you can do to keep your anxiety under control. Watch for part 3 of our ADHD and Anxiety series where we will talk about some steps you can take to help you manage your anxiety. Do you have ADHD and anxiety? What have you done to keep it under control? 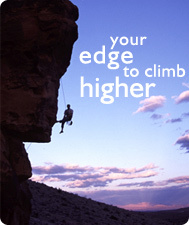 We invite you to share your story here and help others learn what you have to keep your edge! 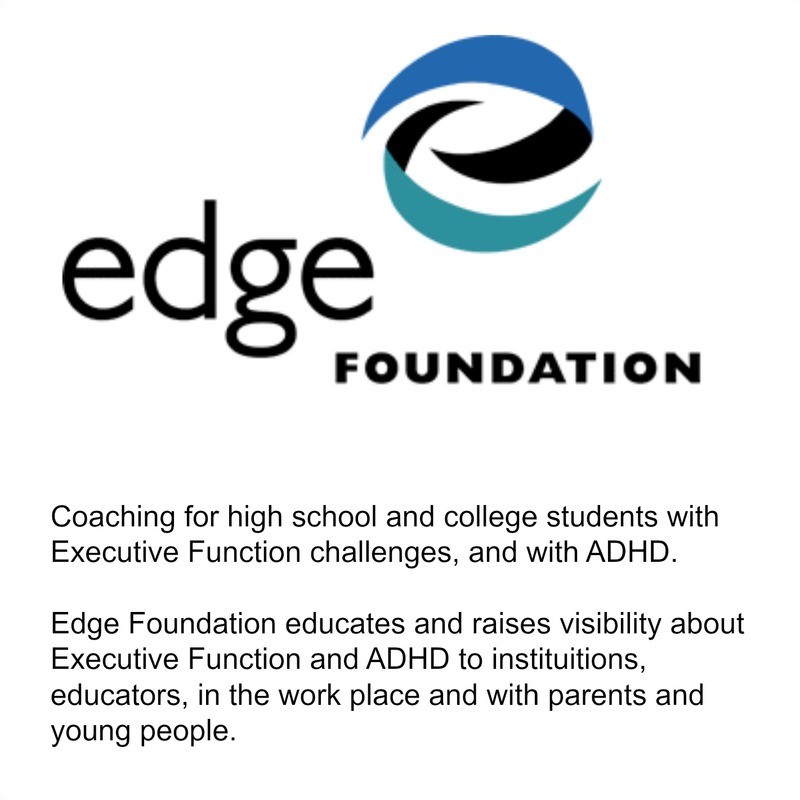 You don’t have to live with anxiety, sign up for an Edge Coachand start taking charge of your life today. ADHD: a mental health risk? The latest research on ADHD reveals that it is a chronic health problem with almost 30% of children with ADHD still have symptoms as adults and have a much higher risk of mental health problems. Are you surprised? This study, recently published in the Pediatrics journal stands out because it’s the largest of its kind and was conducted under the esteemed auspices of Boston Children’s Hospital and the Mayo Clinic. The study tracked 232 people who were born between 1976 and 1982 and were diagnosed with ADHD when they were children. Of those who still had ADHD as adults, 81% had at least one other psychiatric disorder. Of those who no longer had ADHD, 47% had at least one psychiatric diagnosis. Researchers are using this study to call attention to difficulties parents face in finding treatment for their children. For example when a child is diagnosed with diabetes, insurance companies have authorized preventative evaluations for co-existing conditions such as kidney or eye problems. When a child is diagnosed with ADHD, insurance companies will not authorize additional mental health assessments until the problem has already occurred. Do you believe ADHD is a mental health issue? How do you feel when you see ADHD coupled with mental illness? Sound off in the comments below. Overwhelmed? Anxious? About ready to blow? When should you worry about anxiety? Normal anxiety comes and goes in response to real challenges involving potential loss or failure. Normal anxiety helps sharpen your attention so you can meet those challenges. Anxiety disorders involved anxiety that is more intense or lasts longer than normal anxiety, or that leads to phobias. Basically, if you worry when there’s no real threat, to the point where you can’t function normally, that’s an anxiety disorder. Why haven’t I heard about anxiety disorders and ADHD before? People know when they have a cold. If it’s so common, why don’t they know when they have an anxiety disorder? People may think the anxiety they live with is normal – it’s normal for them after all. People may deny their anxiety because it’s not acceptable to be “afraid”. People may be so good at avoiding what makes them anxious that they almost never experience the symptoms. People may have symptoms they don’t recognize as anxiety-stomach upset, muscle aches, fatigue, insomnia, irritability, twitches, heart palpitations, hot flashes, clammy hands-these can all be symptoms of anxiety. The primary symptoms of anxiety disorders are fear and worry. But when people have physical symptoms that may mask the real issue, they will seek treatment for those instead. In fact, people with anxiety disorders are 3-5 times more likely to go to the doctor than non-sufferers. Do you have any of these common symptoms of anxiety? Focusing on our problems is normal: Everyone tends to focus on problems. It’s probably evolutionary in nature-we evolved in a dangerous world where being able to notice threats was key to survival. Therefore, negative, troublesome, threatening things tend to capture our attention like nothing else. Yet narrow and negative thinking can lead to stress and depression, which can lower performance and reduce connectedness, both in relationships and in thoughts. The power of positive thinking: A broad and positive focus helps you identify more resources and make more connections. Positivity-feeling good-helps creativity, perseverance, confidence, competence, and even longevity. It is tempting to feel that health, wellness, and financial success are what contribute to happiness, but it turns out that happiness predicts these things, not the other way around. In further studies of positivity and negativity, it turns out there is an ideal ratio between the two. The ideal ratio of positivity to negativity is between 3:1 and 11:1. In other words at least 3 positive thoughts to each negative one. In this range, people have the resources to change, grow, and bounce back from adversity. They feel both supported and challenged, which develops resourcefulness and creativity. Business teams operating in this ideal zone have the highest profitability, customer satisfaction, and performance reviews. Too much of a bad thing: People who live in an environment where the positivity to negativity ratio is below 3:1 languish. They don’t have enough resources and inspiration to pick themselves up out of the muck and see all the things that are available to them. Unlike the more positive folks, they are on a downward spiral. Sadly, it is estimated that 80% of people fall into this category. Turn up the positive volume! 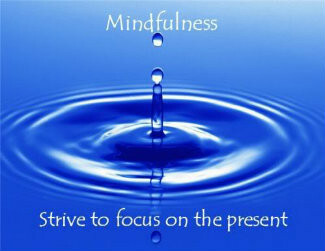 Notice, remember, articulate and savor what is already there. Practice noticing the good stuff, because there is plenty of it around. From the aroma of that first cup of coffee in the morning (even if we made a mess making it), to the parting “Bye! I love you. Have a nice day!” (even if we had to say it several times because we kept forgetting things as we tried to get out the door), to the great coaching session where both feel pumped by the end, there’s a lot to notice and feel positive about. Notice, too, how we contributed to the good stuff, notice how we are actively creating the positive experiences. Then allow yourself to feel empowered to improve your life and develop your resourcefulness and creativity!